Bank share look attractive before new year start 2015, SBI, ICICI, HDFC decrease interest rate cause of available liquidity. 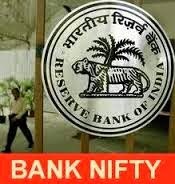 bank nifty traded above 18840 with gain of 70 point , bank of baroda, bank of India, indusind bank, PNB top gainers. I like your quality content having accurate information regarding the subject and the same thing. Nice work. The Sensex rose 100.98 points to 27407.81 and the Nifty climbed 22.30 points to 8283.95. • Wipro Reaches an agreement with US Securities & Exchange Commission to resolve 6-year old investigation.